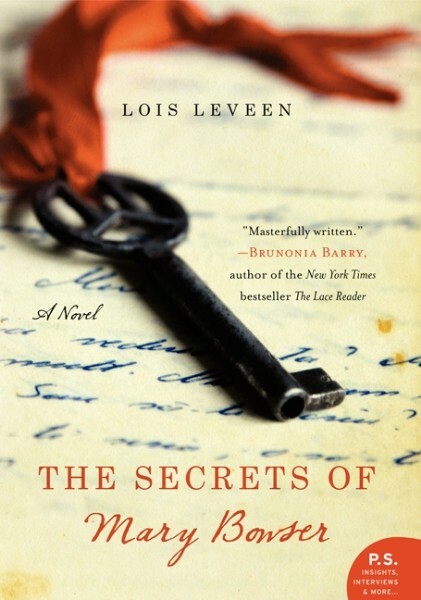 Award-winning author Lois Leveen dwells in the spaces where literature and history meet. Her stunning debut novel, The Secrets of Mary Bowser (William Morrow), is based on the true story of Mary Bowser, a former slave who became a Union spy in the Confederate White House. Born into slavery in Richmond, Virginia, Mary must leave her parents and her community to go North and seize the opportunity for freedom and education. She makes the daring choice to return to Virginia, where, as the Civil War rages and illness and hunger ravage the city of Richmond, Mary and the reader learn that everything comes at a cost, especially freedom. Praised for her work as a public intellectual, Leveen is an engaging speaker who gives talks and leads workshops about ethnic identity, education, and creativity. She is a frequent speaker at schools, universities, libraries, museums, historical societies, and women's groups. Leveen collaborated with colleagues from campuses across North America to create an instructor's guide for The Secrets of Mary Bowser, which includes more than 100 activities and assignments for using the book to teach school success strategies and to connect to current events, as well as to subjects across the humanities, the social sciences, math and science, and fine and performing arts. With its emphasis on the power of education to change a life -- and the power of an educated young woman to change history -- the book is ideal for a school's common read or First-Year Experience selection, and Leveen's background as a professor and education expert enriches the talks she delivers at campuses. The Secrets of Mary Bowser, named a Target Book Club pick and a Books-a-Million book club pick, has brought this inspiring story to readers well beyond academia, and Lois has spoken about the history behind the novel at a broad range of venues, from black history museums to the Museum of the Confederacy, and from a university named for a slaveholder to one founded during Reconstruction to educate newly freed African Americans. Speaking on topics well beyond Bowser's inspirational story, Leveen offers honest answers to audiences who want to think more deeply about the meaning of race in America. With both a deep historical understanding and a commitment to engaging audiences around contemporary issues, she broaches some of the most challenging topics to help others understand the power of multiculturalism in America today. 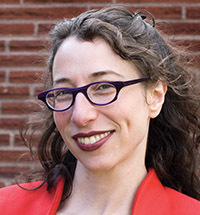 Leveen, a veteran writer for numerous Jewish publications, also speaks and writes about how her Jewish identity shapes her work, helping audiences of all religious backgrounds understand the power of religious identity and the possibility of interfaith dialogue. Educated at Harvard, University of California, Los Angeles, and the University of Southern California, she is a former faculty member at University of California, Los Angeles and Reed College. Her research and commissioned reports on how to increase graduation rates and improve education outcomes have shaped both regional and national policy and practices. Her work has been featured on NPR, C-SPAN, the New York Times, the Wall Street Journal, the Chicago Tribune, and the Huffington Post, as well as numerous literary and academic journals. She lives in a bright green house in Portland, Oregon, with a Canadian, two cats, and eighty-thousand honeybees. "Lois Leveen is a dynamic and engaging speaker and a natural teacher who can appeal to a wide range of audiences. She was the perfect author and presenter to launch the 2013 Sigma Tau Delta Convention . . . perfectly tuned in to the audience of 300. The Secrets of Mary Bowser would be ideal for use as a common reader or in a first-year experience program." "Lois Leveen brings together the dynamics of storytelling with an historian's training. Her engaging style and genuine interest in having conversations about history, race, and resistance made the program enjoyable for all." "Lois Leveen's presentation was thoroughly engaging, and she did a wonderful job of addressing the diverse interests of our audience during the discussion that followed. It's rare to find a speaker or a book that can simultaneously appeal to community members, students, faculty, and staff but Lois Leveen and The Secrets of Mary Bowser did." "Lois Leveen's presentation about her book, The Secrets of Mary Bowser, was informative, insightful, and humorous. She has successfully fused the world of fiction with that of fact, filling in the blanks of a tale previously known to only a few. Thanks to Dr. Leveen's masterful work, Mary Bowser lives." "With her intelligence, thoughtfulness, and creativity, Lois Leveen provides an environment of community around literature. She provides useful context and insight, enlightening the participants' understanding and enriching their experience with the text. Her empathy and humor make participants feel at ease. I would highly recommend her to any organization looking for a memorable speaker and educator." "The Museum of the Confederacy has a long track record of tackling subjects which pertain to race and to Southern unionists. But it was a first when Lois Leveen gave a presentation about Mary Bowser -- a Yankee spy, African American, and former slave -- with 120 people in the audience and C-SPAN filming it. Lois' research is impeccable, and her novelist's ability added great interest." "Lois Leveen is a great discussion leader and guide who engages everyone-novices as well as experts. Leading a series of public programs for the Portland Art Museum, she created experiences for a mixed audience of readers, writers, and artists. Her sharp wit and charm made her approachable, and she was always able to instigate and sustain intriguing conversation." "Lois Leveen had all the ingredients of a terrific presenter. The excerpts that she read from The Secrets of Mary Bowser made me want to be first in line to buy the book. Equally compelling were her insights into writing and ethnic identity. Museum audiences always appreciate opportunities to engage in new conversations about culture and identity, and Ms. Leveen did not disappoint." "Lois Leveen was a tremendous hit at our small-town library, engaging a large multigenerational group of attendees in a lively discussion. Her approach is substantive, inclusive, and above all, fun. We look forward to her next appearance here!" A "rich debut . . . Deftly integrating historical research into this gripping tale of adventure, love, and national conflict, Leveen brings Mary to life and evenhandedly reveals the humanity on both sides of America's deadliest war." "Leveen honors the life and historical importance of a brave, resourceful woman." "Masterfully written . . . Balancing fire and grace, the story of Mary Bowser is an ethical journey we won't soon forget, one that takes us from hatred to courage to love." "Told with clarity, confidence, and courage . . . A riveting and powerful book." "Packed with drama, intrigue, love, loss, and most of all, the resilience of a remarkable heroine who forges her own destiny from the first page. What a treat!" "Beautifully written . . . a gripping book." "This book has 'best seller' written all over it. The Secrets of Mary Bowser is not only fascinating reading, but also historical fiction of the highest caliber." "A captivating novel . . . Mary's world is nuanced and complicated . . . the reader is thoroughly drawn into it." "This novel will sweep you into the world of Mary Bowser." "Wonderfully written . . . Leveen's novel is thoroughly inviting from page one." "A brilliant historical novel . . . The Secrets of Mary Bowser is a rich, layered story of slavery, of the South and of what it means to fight for what we believe in, no matter the cost." "The Secrets of Mary Bowser offers reading groups much to discuss . . . there is so much to think about after reading this book." "Mary's courage and determination will inspire you."